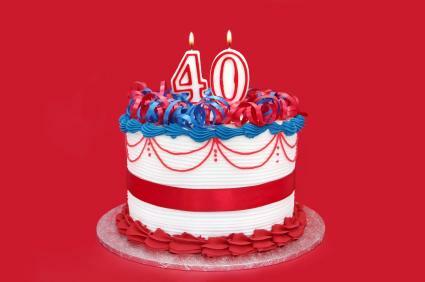 I Turned 40, Now What? Last Monday, February 4th, I turned 40. It was wild to say the least. I felt (and acted) like a twenty-something, but I have made some wonderful lifestyle changes this year and have fine tuned my career goals. Stay tuned as I blog in depth about the positive and lofty goals my 40s have inspired. This entry was posted in Anxiety, Entrepreneurship, fitness, Humor, Life, Marketing, Public Relations, Small Business and tagged 4o, aquarious, career goals, twenty-something. Bookmark the permalink. Hi, turning 40 is actually great! We’re in the same boat, I opened my own business in 2005 and at first there were disappointments, high and low times but overall, the business is fine. This is the age when we just have everything on our shoulders, children, work and a lot of responsibilities to handle. But hey, you should give yourself a pat on the back, you’ve made it after all. Good luck to your business. OMG, thanks so much! I agree that this time in life is amazing…I feel so smart and confident. Congratulations on starting your own business – way to go!!! What do you do? I’d love to visit your website or blog. If you ever need to be talked off your small biz ledge, just email me!